Business InsiderMicrosoft execs Terry Myerson and Qi Lu both want control of the default Internet Explorer homepage. The first verifiable evidence of our sources’ claims was due to be revealed in this month report from research company comScore, which would have usually published separate worldwide traffic figures for Bing and MSN. 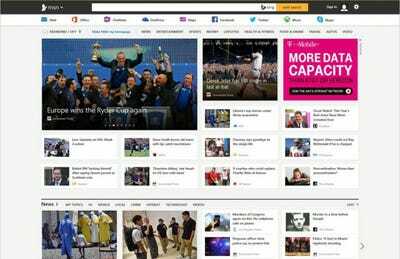 The theory was MSN traffic was massively down following the redesign and that Bing was being severely hurt by one of the changes, which saw MSN curate more stories from news sites. The issue was that it was seeing people click through direct to competitor websites, rather than through to a Bing search as it had done previously. But this month, Microsoft has asked comScore to bundle all its web products — Bing, Skype, Outlook and so on — under one “MSN” banner, the research company confirmed to Business Insider. So now it is extremely difficult to quantify exactly how badly the MSN redesign hit Microsoft. ComScore is one of the most trusted sources of web traffic data around and the majority of major publishers use the company’s reports to sell their advertising and size themselves up versus competitors. Business Insider has contacted Microsoft for comment about its request to comScore to reclassify its online traffic under the MSN banner. This article will be updated once a response has been received. MSN’s newly organised total unique worldwide visitor figure for October was 6.77 million, according to comScore. In September, without the added help of other properties like Bing and Skype, MSN’s unique worldwide visitors totaled 3.79 million. No longer is it possible to compare apples with apples with the comScore data on MSN. ComScore does, however, still provide separate Bing data (this is also the same data that is bundled in to that total MSN figure.) Bing’s worldwide unique visitors dropped from 271 million in September to 267 million in October, according to comScore. The October figure was, however, up on the 258 million uniques reported in August. Separate US-only data from Compete, a Millward Brown Digital company, appears to show the drop-off in visitor numbers following MSN’s redesign more starkly. Look how the uniques fell from September (when the redesign launched) to October. “Shuttering MSN would be fairly simple for Microsoft. Bing already has a news section and is already programming news on [its] homepage. [Bing] also has links to Microsoft’s other services. So it can serve as the consumer default homepage for Microsoft. MicrosoftThe new MSN as it appeared in September 2014. 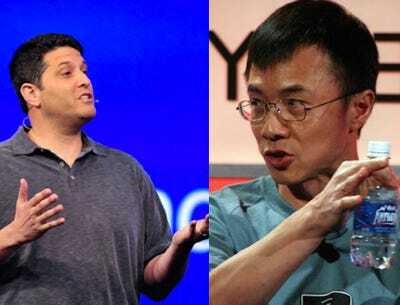 Separate sources have previously told Business Insider there is a showdown of sorts between three powerful Microsoft executives: Terry Myerson, the man in charge of Windows, Derrick Connell, who runs Bing, and Qi Lu, the man in charge of most of Microsoft’s consumer online services, which includes MSN and also Bing. The fight is about who gets to control the default home page of Internet Explorer. All three want to claim the home page as a lucrative marketing spot for their own divisions. Microsoft told Business Insider last month that Bing and MSN are performing well and that the newly redesigned MSN is a success, referencing older US-only comScore data for October. Last month Microsoft fired a huge chunk of its global advertising sales team. Our source tells us that the majority of people responsible for monetizing MSN were part of that round of layoffs, as well as many MSN editorial staff.